Once your event is over, all registrations will be closed automatically. However, there are 3 methods to choose when you would like to end your event. Method 1: Manually closing registration for the entire event. If you want to close the registration before the event ends, go to your Event Dashboard and click on the green "LIVE" button to open up the status menu. Choose "End Registration". It will be shown on the event page that registrations are closed. 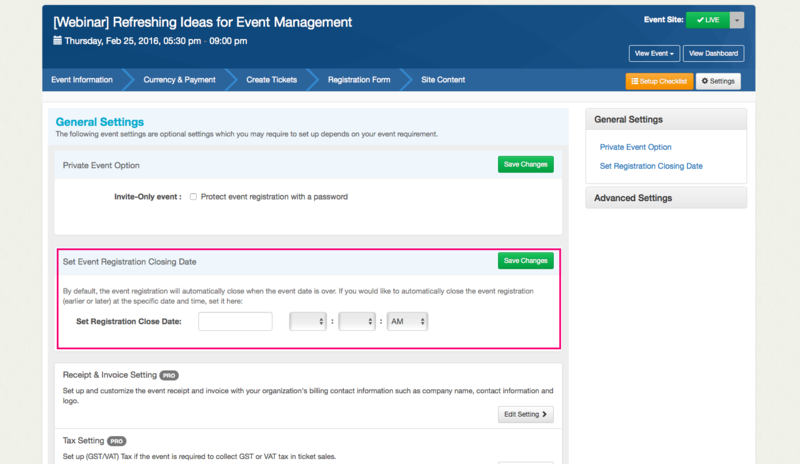 Method 2: Setting a date to close registration for the entire event. If you want to set a date for your event to automatically close, you can do so under Settings. 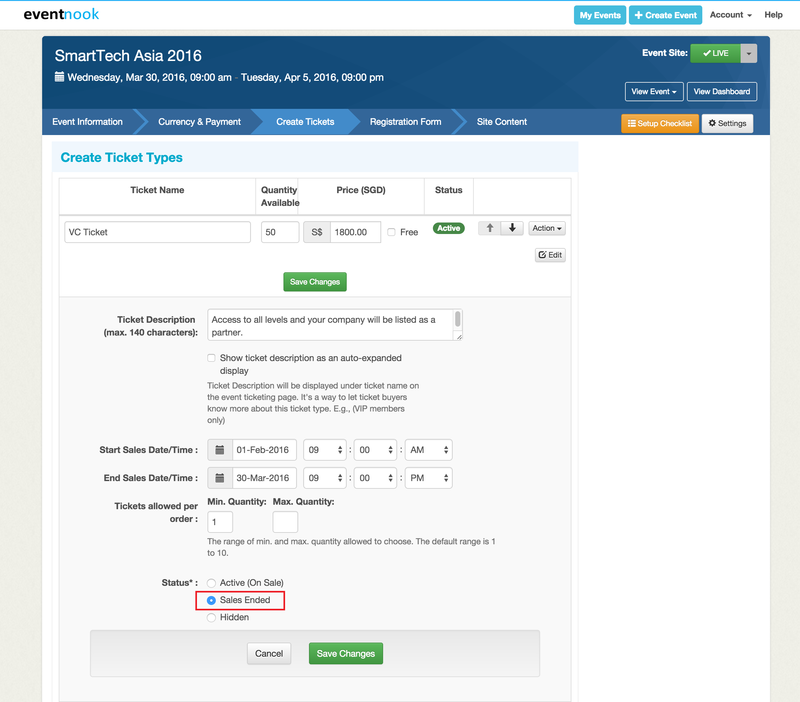 Method 3: Closing registration for a particular ticket category. If you want to close a specific ticket category, you can do that by going to the "Create Tickets" section and edit the ticket. choose the "Sales Ended" option and registration for that category of tickets will be closed.